Shared Education enables schools from different sectors to work in partnership to provide opportunities for pupils, staff and community to engage in collaborative and meaningful learning experiences. The Education Authority (EA) has been working with its partner Léargas since September 2017 to deliver the Collaboration and Sharing in Education Project, funded under the PEACE IV programme to the amount of €28.9 million. This project is supported by the European Union's PEACE Programme, managed by the Special EU Programme Body. CASE aims to build a culture of good relations amongst children and young people in a school based setting. Delivery is through the provision of direct, sustained, curricular-based contact between children and teachers from all backgrounds. Through working in partnership, the participating schools will promote community cohesion, enhance educational outcomes for all pupils and provide shared professional development. CASE is open to all schools in the six Border Counties of Ireland and schools in Northern Ireland which are not currently involved in the DSC Signature Project for Shared Education. those who are experiencing socio-economic deprivation and those who are not, which is secured by the working together and co-operation of two or more relevant providers. A “relevant provider” means a person providing education at a grant-aided school, or services of any kind (including youth services) which provide educational benefit to children or young persons. The Education Authority (EA) was established under the Education Act Northern Ireland 2014 and became operational on 01 April 2015. 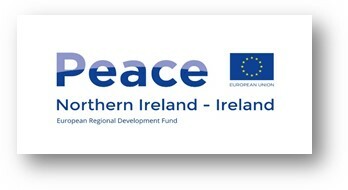 SEUPB's role is to help facilitate the positive impact that European Regional Development Funding will have on the lives of people living across Northern Ireland, the Border Region of Ireland and Western Scotland.